Once Prince Harry and Meghan Markle got engaged, the press and the public are all wondering about the details of their wedding. Designers have been wondering if the actress will wear white as she was divorced previously. Due to this reason, there may be a chance that Markle will choose another color as she has worn white before. Although her dress may not be white, the designer, the actress chooses will strengthen ties with the region and the designer will be promoted in the UK since the world will see the bride’s dress. If Markle chooses a British designer, this gesture will help to seal the public’s view as she is American. However, if she chooses an American designer, she will then champion a new American designer and introduce them to the British public. The designers being considered are Erdem, who is popular with Kate Middleton and Sarah Burton. Erdem has also designed a wedding dress for Serena Williams, who is a close friend of Markle. Markle’s taste is very sophisticated, and therefore the designer she chooses will have to be more on trend. 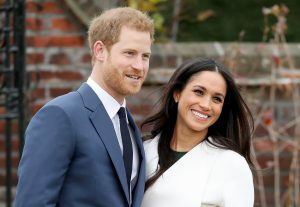 The wedding is predicted to include a “traditional” church ceremony, but on a smaller scale to the wedding of Prince William’s and Kate Middleton’s in 2011. The royal family may avoid inviting Markle’s famous friends to avoid them stealing the limelight. Most often the royal kids will be part of the wedding party and therefore may include Prince George and Princess Charlotte.